MS Challi for a make temporary platform with the help of cuplock standards ledger using for outer wall works like plaster, glass fitting etc. This video show you the common components of a Scaffold. Available sizes: Weight in Kgs. As an illustrious corporation of the industry, we are eagerly immersed in presenting a broad gamut of Construction Plates Scaffolding Accessories to our patrons. They are used for side application to stirrup reinforcement in Beam directly. 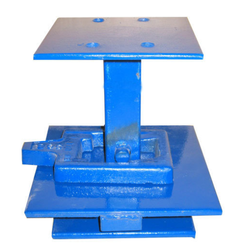 These covers are designed for easy placement & positioning of Beam and provide stability. Size :- 25 mm, 30 mm, 40 mm. Age :- 4 nos / RMT. Catering to the requirements of our clients, we are involved in the offering Standards Cuplock. Owing to our rich industry understanding and knowledge, we are affianced in providing Scaffolding U Head to our valuable patrons. Backed by skilled and experienced engineering expertise, we are engaged in offering a wide collection of Scaffolding Pipe Support to our valued clients. Provided products are designed using industry grade components in complete tune with the industry defined norms. Specification: 35X35X5 mm M.S. Angle. We are looking queries only from Maharashtra. 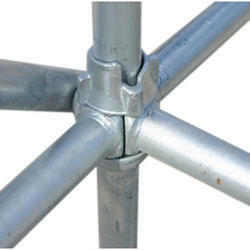 Scaffolding Bracings are forged from mild steel thick angle with high bending resistance. It is also painted with dual coats with complete movement of both the arms of Bracing in 360°.